The Archive: a history of over 30 years of UK festivals . 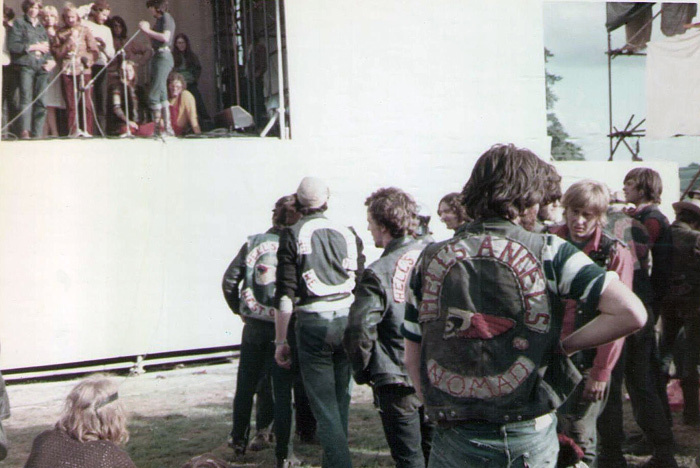 Being a social and musical history ( of sorts ) of commercial Rock festivals of the United Kingdom , from 1960 to 2000- and of the Free Festivals and related traveller scene of the United Kingdom , from 1965-2000. 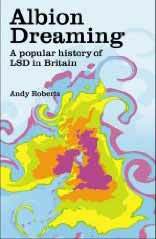 Andy Roberts fascinating book Albion Dreaming has much information about free festivals . "Although it is not true that all conservatives are stupid people, it is true that most stupid people are conservative." We build this site through YOUR contributions and thus it is dedicated to all the lovely people who have donated their memories, documents,photos and recordings to us over the past sixteen years. However, probably due to social media, contributions are drying up. Because of this ( and old age creeping up on me )I'm now only updating every few months instead of weekly . If you want this site to be updated more regularly and you are sitting on photos or have memories to contribute, think, if you post them on Facebook, why not just email us a copy as well ? Then anyone can see the info at a central point, and not just those who are in the group you are contributing to. We want to keep this site going, but it will fade away if nothing is donated by the readers . The site is non profit making and will never accept paying adverts both as a tribute to your generosity and also because we still believe in the old hippie/digger ethos that giving something for free is a reward in itself ! The links below are links to the major parts of the site. If you get lost anywhere just click to go back to the Return to Archive link, this link is on almost all the pages on the site. Medicine Ball Caravan Canterbury .1970 . These folks are looking for info to use in films , websites or books, contact them if you can help. We always want more information on ANY UK festivals, but we are especially seeking any information about the following festivals. and we welcome contributions about any benefits and one day events not currently listed apart from folk and jazz festivals, we just don't have the time to cover them . Requests to BUY tapes or CD's of shows will NOT be answered , neither will enquiries regarding the prices that memorabilia will fetch on the market . We also do NOT buy memorabilia and we won't carry paid adverts. When we started this site 20 years ago we just intended to document a few festivals we had attended in the late 60s and early 70s, but its taken over our lives and become much more than that. In the past three years the site has expanded greatly and now covers a 30 year time span - which may eventually go to 40 ! This is NOT a nostalgia site! Yes, we celebrate the past, but this is as much a sociological project as it is a musical odyssey. The Archive aims to eventually provide as much information as possible about all aspects of the major UK festivals, Free festivals and outdoor concerts from 1960 to 1990 and scrutinise them from sociological and musical perspectives . Festivals are not divorced from society and they usually mirror changes in our general culture as well as in musical tastes. As music fans we also provide information on many of the groups who performed at the festivals, well , we do have to have some fun ! So, that is our mission. BUT , only way that this can happen is if we get help from those of you who have memories, articles , photos and recordings of the events, so please - Contact us- before you snuff it ! To prove that we are not completely stuck in a time warp, in addition to the older stuff, the site also features sections about more modern festivals , such as Womadelaide and has some archival information about tours of Australia by various artists, mostly in the folk, blues and jazz arena. We also have provided many photos of featured artists and links to other sites where appropriate. Hope you enjoyed the site and that you will visit The Archive again sometime soon! This site is non profit making, its a site for die-hard fans- and run as a source of information for those interested in Rock music of the past.We are completely against the sale of bootlegged artefacts, especially musical ones.We attempt to obtain permission to use articles and photos wherever possible, but on occasions, due to the age and obscure origin of some items, we have not been able to ascertain the owner of the copyright .It is possible that occasionally we are sent material from sources that assert that they own the copyright of material, but their claims are spurious - If you see any material on the site that you believe you own the copyright of -please send us an e-mail with proof that you have ownership of the image and we will remove the offending item from the site immediately.